Elgin Construction has unique skills and experience in historic building restorations. The strategy for this second generation website was to show before, and after work at a variety of historic sites in Ontario. 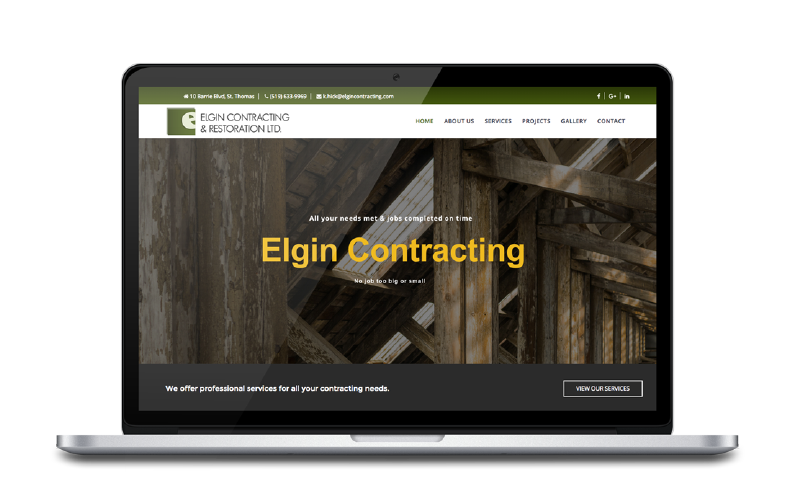 A visit to the current second generation website demonstrates the talents of Elgin Construction in intense details of job sites. Masonary and stone restoration, replacement of boiler heating systems and replication of sister buildings (Shedden Library) are some of the skills from Elgin Construction. Signature restorations include Wolseley Barracks, London, the St.Thomas Armoury and HMCS Prevost, London -- all shinning examples of the meticulous care taken to replicate paint formulas, remove concrete stairs and replace with cedar steps and install modern HVAC systems to add years to the historic lifeline of these structures. All content and images were photographed by Response onsite.